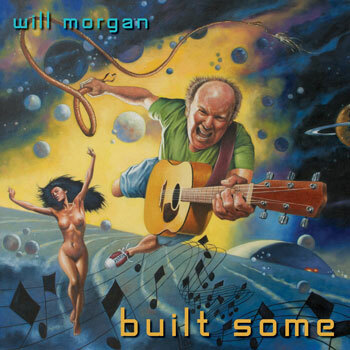 The five songs on “Built Some” were written in Seattle by Will Morgan except for “Jumper On the Line” by R.L. Burnside. Will Morgan – Guitar and vocals. Thanks to Susan Carr and Guy for the vocal coaching. Thank you Rick Fisher and Rachel Field at RFI Seattle where Ed Brooks mastered the record. Cover art Val Meyerik. CD design Lyn Blanchard.